How do I Save and Store Fresh Ginger? 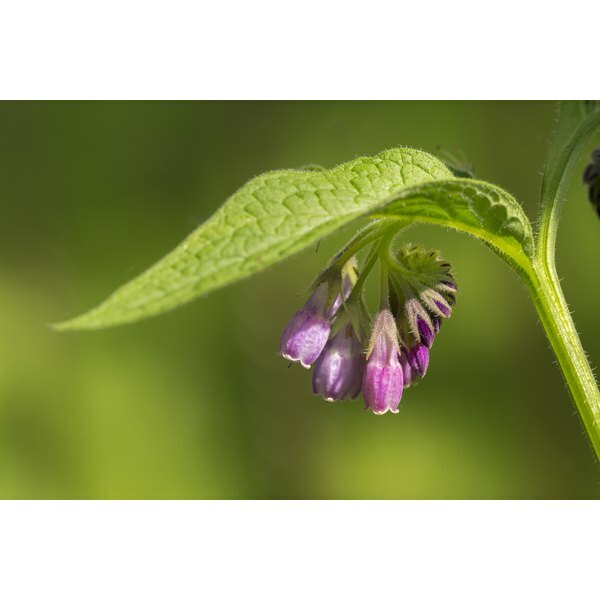 A soothing salve or poultice made from the leaves of the comfrey plant may promote the healing of closed wounds and bruises or soothe breast pain in nursing mothers, reports the Gale Encyclopedia of Alternative Medicine. Boasting a long history of use for medical ailments, the comfrey plant, (Symphytum officinale), contains allantoin, which may encourage the regrowth of healthy tissue and bone. Although this herb is cooked and eaten in some areas or consumed as a tea, Gale advises using it only externally to prevent liver toxicity. Pick three or four large comfrey leaves. Rinse them gently under cool water to remove dirt or pesticides before chopping them into 1-inch pieces and placing them in your blender. Add ¼ cup of water and blend well, stopping the blender once or twice to scrape down the sides of the pitcher. Add a bit more water if the mixture sticks to the side. You want it to look like a thick soup. Pour the comfrey mixture into a small clean bowl and sprinkle all-purpose flour on top, a couple of tablespoons at a time, stirring after each addition. Repeat until the mixture is the consistency of soft peanut butter. Cut or fold a clean soft cloth large enough to cover the bruise or the wound with a couple of extra inches around the edges. Spread the thick mixture approximately ¼ inch thick on the cloth and leave about 1 inch of cloth around the border. Apply the poultice directly to the injured area and lightly cover it with plastic wrap to prevent the mixture from leaking out. Leave the poultice on for an hour or overnight. You may substitute dried comfrey leaves if you can’t locate fresh ones. The PDR for Herbal Medicines warns not use comfrey poultices during pregnancy. In addition, do not apply a comfrey poultice to broken skin to prevent absorption of pyrrolizidine alkaloids that may contribute to liver damage.